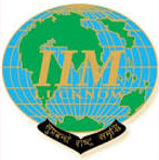 IIM Sirmaur is being mentored by one of the top most business schools in India – Indian Institute of Management Lucknow. IIM Lucknow in the past has successfully mentored two other IIM’s – IIM Rohtak and IIM Kashipur. The first batch of Post Graduate Programme in Management at IIM Sirmaur is expected to start from August 2015. Spread over about 111 acres of land, the Indian Institute of Management Kozhikode, is situated on two hillocks in the Kunnamangalam Area of ancient city of Calicut in Kerala. Boasting of one of the most picturesque and oxy-rich campuses in the country, the world class infrastructure includes air-conditioned classrooms, guest care areas and LAN/WAN connectivity which enables every IIMK resident to be exposed to a wholesome experience.